Did you ever doubt yourself even if you feel you are right? I do. Whenever I had some new investment ideas, no matter how much research I’ve done, I always felt worried that I might be wrong. This is especially true when my idea is unconventional or against the consensus. I was always searching for some sound investment principles to guide me through this and I found Ray Dalio. Here are his investment principles of being wrong, the art of seeking out thoughtful disagreement. In every investment transaction, there is always a buyer and a seller, and both of them think that they are the one who is making a smarter decision. Ironic, isn’t it? To clearly lay out the reasons why they haven’t reached the same conclusion. 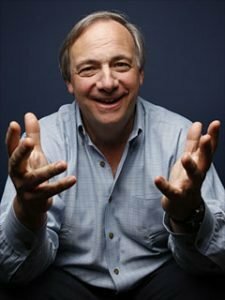 If you don’t know yet, Ray Dalio is one of the world’s most successful investors. He has an estimated personal net worth of $15 billion. (Yes, that sounds like a lot of money). He is the founder, chairman and co-CIO of Bridgewater Associates, the world’s largest hedge fund firm. His Bridgwater empire manages some $155 billion assets, with his flagship All Weather Fund. So when he talked about investment principles, I am all ears. For those who are serious to learn his life and management wisdom, I encourage you to read his book “Principles: Life and Work”. To make money in the markets, you have to think independently and be humble. You have to be an independent thinker because you can’t make money agreeing with the consensus view, which is already embedded in the price. Yet whenever you’re betting against the consensus, there’s a significant probability you’re going to be wrong, so you have to be humble. So the key here is the word “ego”. Can we overcome our own egos? 47 years ago, James Thomson, an East-Asian government specialist and Harvard history professor, wrote a devastating critique of how America’s Vietnam debacle unfolded. He concluded a major factor was “human ego investment”. Just think about the losing money penny stocks which you have been holding for years, the “I-should-not-have-bought” unit trust which is still in your investment portfolio, the vacant “investment property” which you bought at the peak of property cycle a few years ago. I believe that the biggest problem that humanity faces is an ego sensitivity to finding out whether one is right or wrong and identifying what one’s strengths and weakness are. Well, there is this saying that “future actions are predicated on flawed earlier decisions”, isn’t it? Along Lornie Road, towards Thomson Road, the Singapore Island Country Club is on the left, and on the right, there was a little road going down to a cul-de-sac. In 1998, there were these townhouses there. We bought a three-storey place of about 2,500 sq ft, which looked out into a beautiful jungle. It was perfect. I broke a wall down and made it a glass window so when you come in, you look straight into the jungle from the living room. We were about to move in when my wife called me up and said there was a disaster – there were three large, ugly bulldozers knocking down the trees. We found out they were going to build more houses, and sold it in 24 hours, for a $1 profit. We bought it for $900,000 – in those days, that wasn’t bad. To me, that doesn’t sound like “worst investment”, that is a brilliant decision which only the master can make. It is a true courage guided by the investment principles of accepting one’s own mistakes. Don’t you agree? Before you read my next post, I will recommend you to watch another Ray Dalio’s masterpiece “How the economic machine works”. I am sure you will find it beneficial. Enter your email to let me know where I should send you a copy of the book.